Posted September 19th, 2016 by David & filed under Escorted Rail Tours, Rail Diaries, Rail News, Rail Product Blog, Rail Tours, UK Rail Tours. 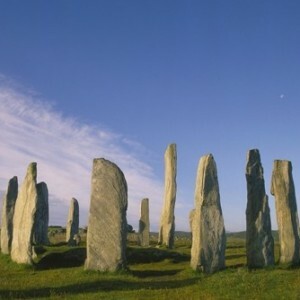 Island hop from Skye to Uist and from Harris to Lewis on this magical tour of the Hebridean islands. Every day is different as each sublime, rugged and breathtaking landscape unfolds before you. And for 2017 this popular tour is further enhanced with a visit to the Isle of Mill and a lovely journey on the western branch of the West Highland Line. This Hebridean Islands Discovery Rail Tour is a great UK Rail Tour. Arriving in Crianlarich, we spend our first two nights in the Highlands at the welcoming Crainlarich Hotel. Lochs, glens and islands await today, as we explore the western branch of the West Highland Line, a contrast of quintessential Highland lochs and glens. Reaching Oban, we leave the mainland by ferry for the Isle of Mull, where we enjoy a visit to Duart Castle, the proud ancestral home of the Clan MacLean. Returning to Oban, we journey past Loch Etive and the appropriately named Loch Awe, before relaxing in our hotel bar with its extensive range of malts. One of the world’s great rail adventures – the stunningly picturesque and romantic ‘rail journey to the isles’ takes us over Rannoch Moor to Fort William. Our journey continues across ‘Harry Potter’ famed Glenfinnan Viaduct where the Highlander Monument stands at the head of lovely Loch Shiel, then around Loch Eilt before reaching the Atlantic coastline at Mallaig. Stroll around the small town and harbour, then board the Isle of Skye ferry, touring the heavenly southern peninsula, “the garden of Skye”. We travel the shores of Loch Snizort to Uig for the ferry cruise to North Uist. A tour of Benbecula and South Uist passing numerous lochans and beautiful beaches arrive at our hotel for a relaxing evening in a tranquil location. Explore Stornoway, its harbour and eclectic architecture before we depart the Hebrides, crossing to Ullapool for the spectacular journey over the Highlands to Inverness. Bidding farewell to Inverness we take the glorious rail journey past the Cairngorms and southwards through Pitlochry to Edinburgh and homeward destinations. Situated in Crianlarich at the heart of the West Highland Line, relax and enjoy your first evening in the Highlands. Set by the waterside of Broadford Bay on the Isle of Skye and in the foothills that lead to Skye’s mighty Cuillin mountains. Considered the best hotel in Stornoway, the restaurant specialises in locally produced and sourced cuisine. A classic Scottish ‘station hotel’ offering charm and elegance combined with modern splendour. Prices start from just £1029 per person to join and leave at the Hotel, please contact us today for quotation from your local railway station.